Why are older people turning to alcohol? 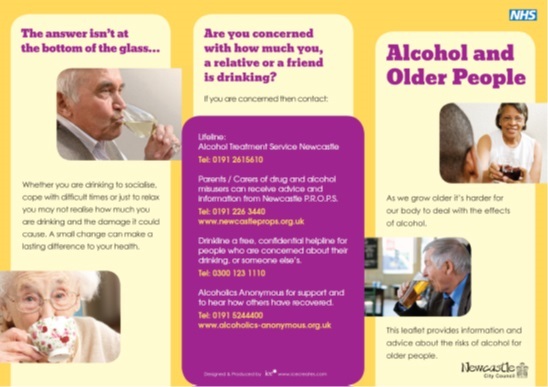 Thousands of leaflets have been distributed to the elderly after pioneering university research revealed the reasons behind older people in North East sheltered accommodation turning to alcohol. In the first study of its kind, University of Sunderland graduate and public health expert Dr Annette Payne has carried out research examining why those in sheltered accommodation are consuming alcohol. This growing issue has received almost no attention, prompting Dr Payne to interview older people living in accommodation in the Newcastle area. Now her findings have led to the distribution of a public health leaflets by Newcastle City Council warning about the dangers of excessive drinking. 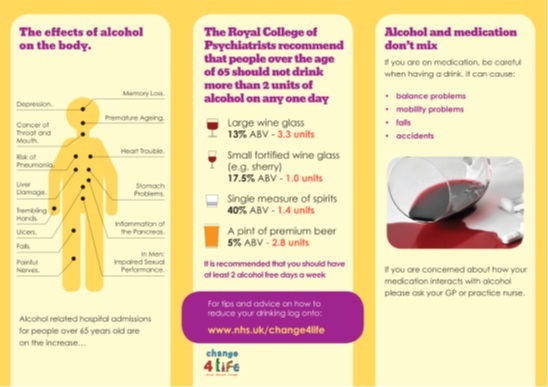 Dr Payne, who works in Public Health at Newcastle City Council, said: “Contrary to many perceptions of ‘later life’, this research found that older people’s lives do not get easier as they age, so the reasons they turn to alcohol are both complicated and specific to the individual. “As we grow older it gets harder for the body to cope with the effects of alcohol. It’s also important to remember that alcohol mixed with medications can make people more susceptible to falls, accidents and greater mobility problems. 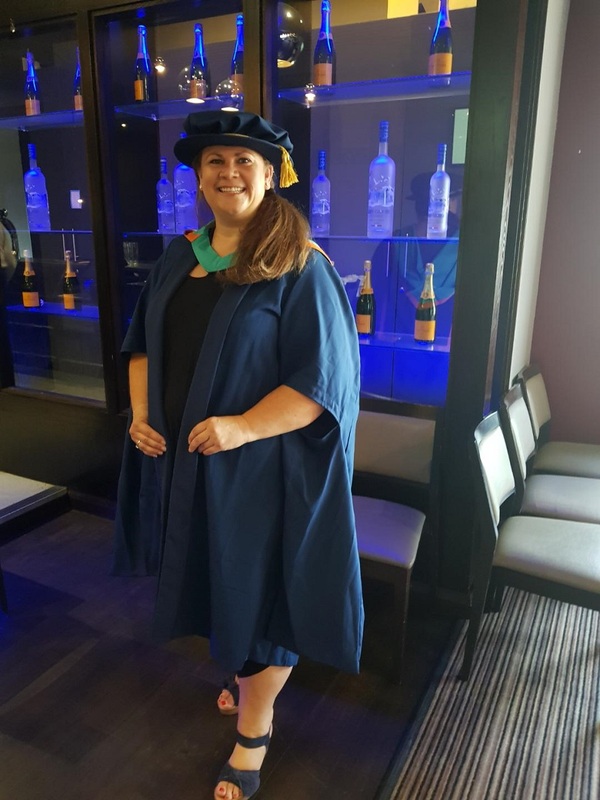 It is hoped the research carried out by Dr Payne, who was awarded her PhD by the University of Sunderland, will help improve awareness of this hidden generation of drinkers. Dr Payne says she was moved by the stories of many older people who she interviewed for the research, with some having suffered trauma earlier on in their lives which had led them to excessive alcohol consumption. The research concludes that much more needs to be done to support older people living in sheltered accommodation when it comes to limiting alcohol consumption. Older people are the group most likely to lack knowledge of what current alcohol units and limits are. One of the recommendations emerging from Dr Payne’s work is that an older person specific alcohol unit guide should be developed and implemented. Dr Payne added: “There also needs to be improved multidisciplinary staff training to facilitate an increase in the identification of those older people who consume over the advised alcohol limits. According to the Royal College of Psychiatrists, as we get older, our bodies change, losing muscle, gaining fat and breaking down alcohol at a slower rate. This means older people are more sensitive to the effects of alcohol, often reacting at a slower rate. Dr Payne’s PhD supervisor, Professor Jonathan Ling said: “Annette’s work highlighted several factors influencing the decision to drink. These included mental health, domestic violence, social contact, family and work.